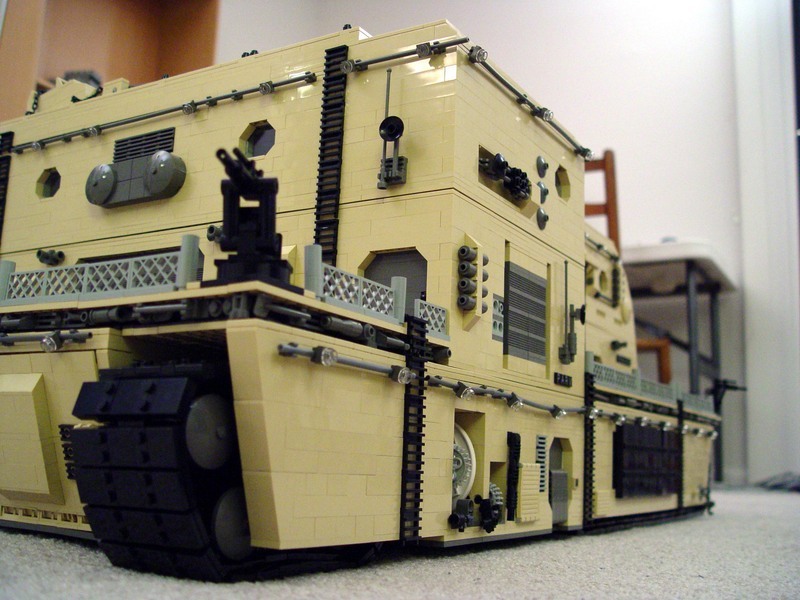 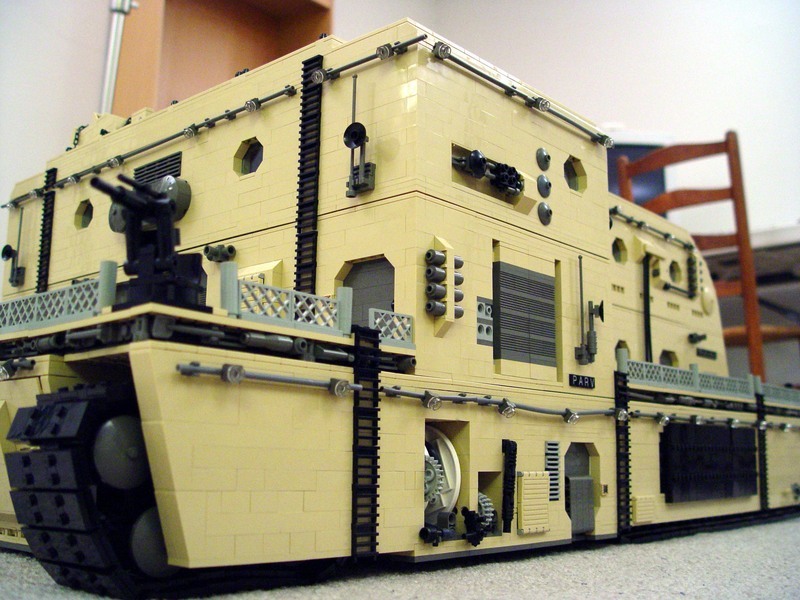 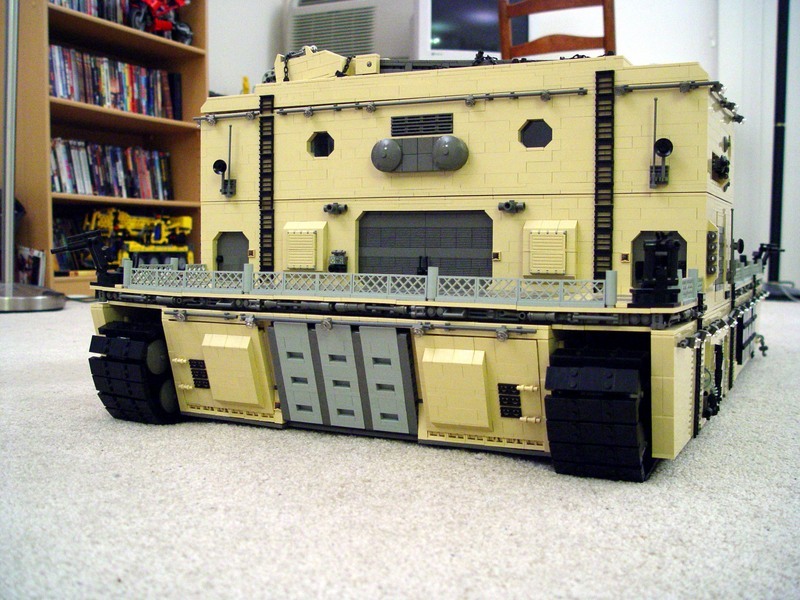 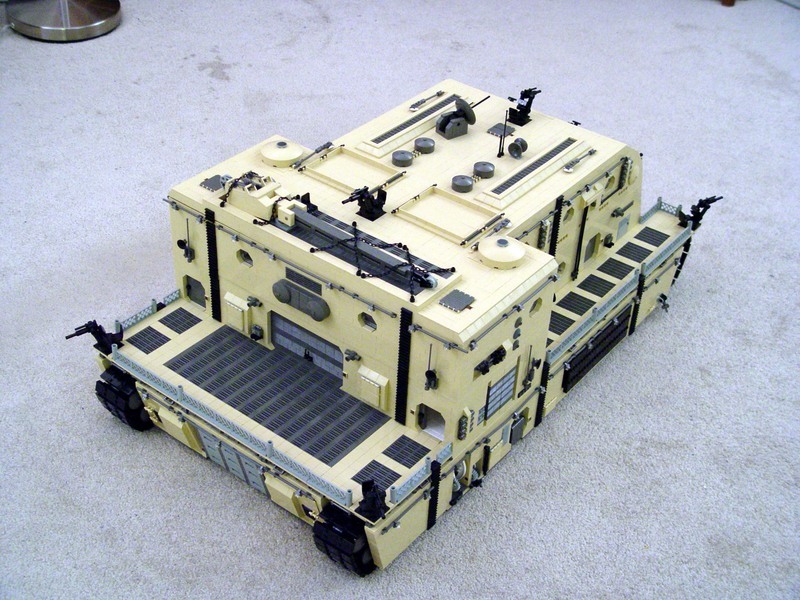 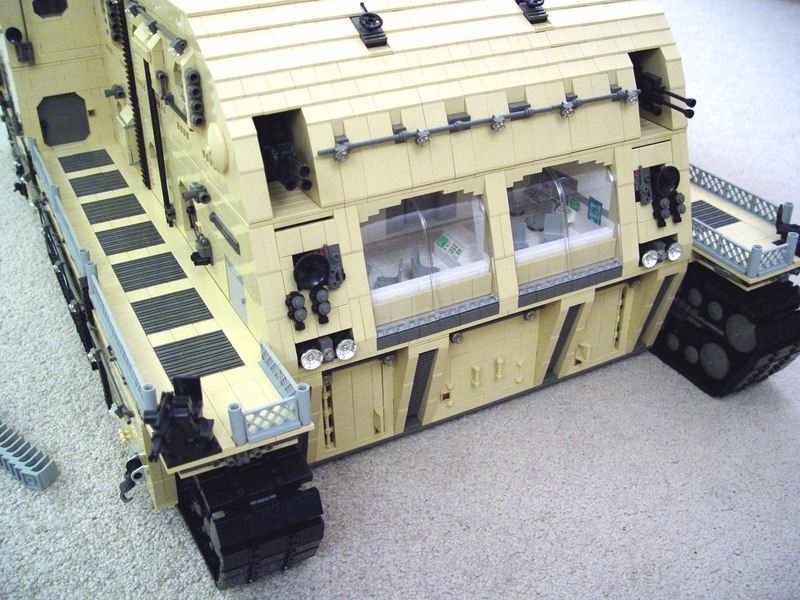 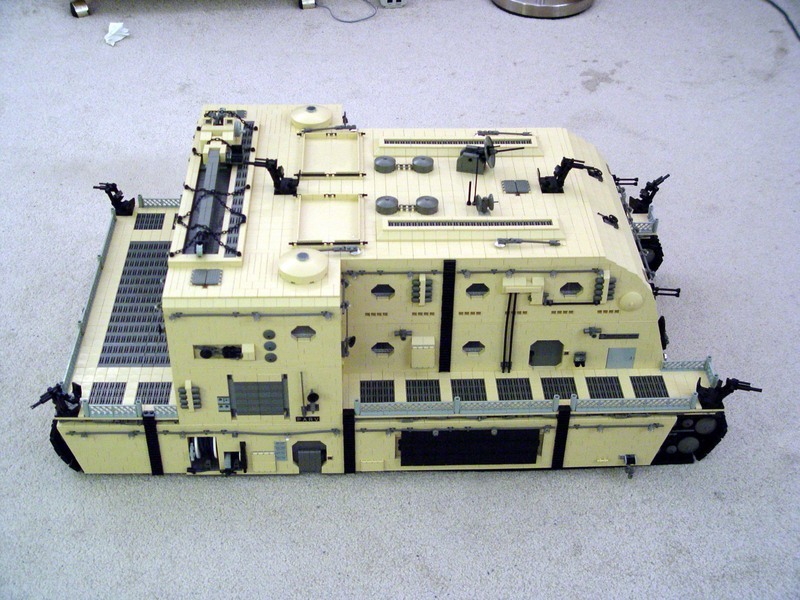 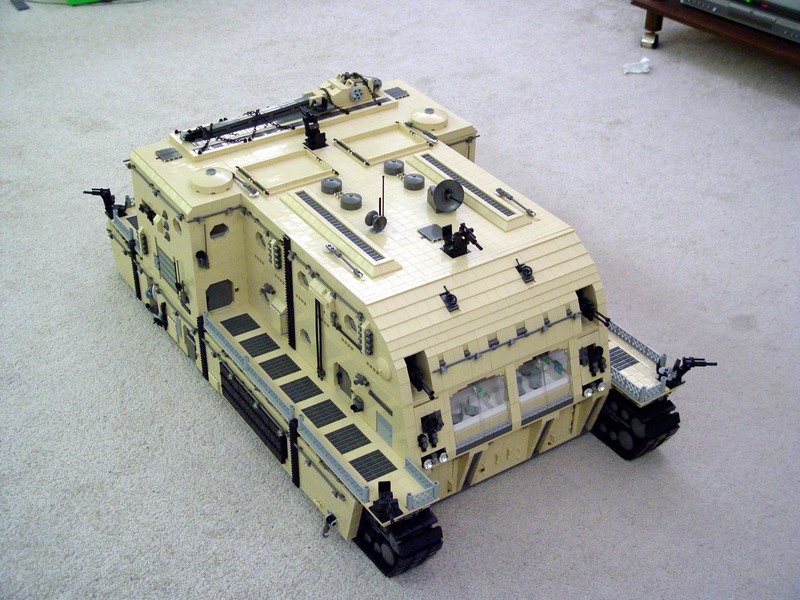 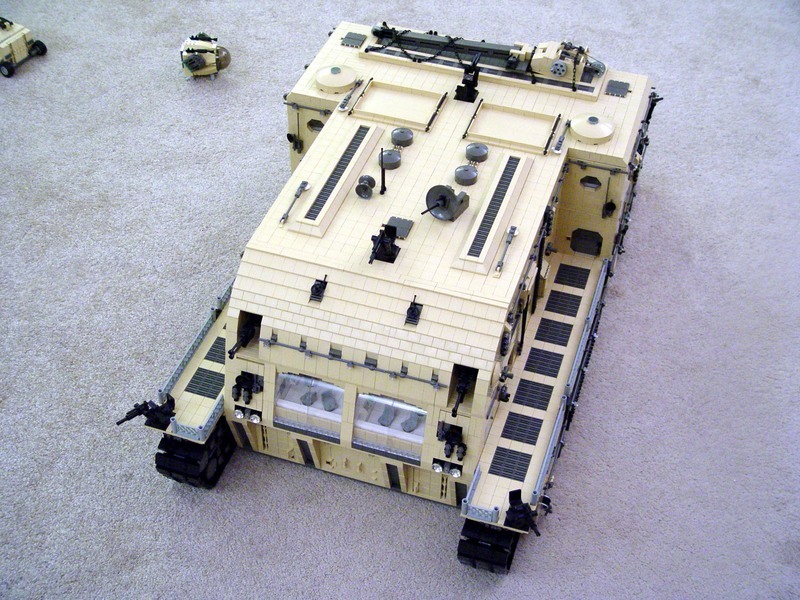 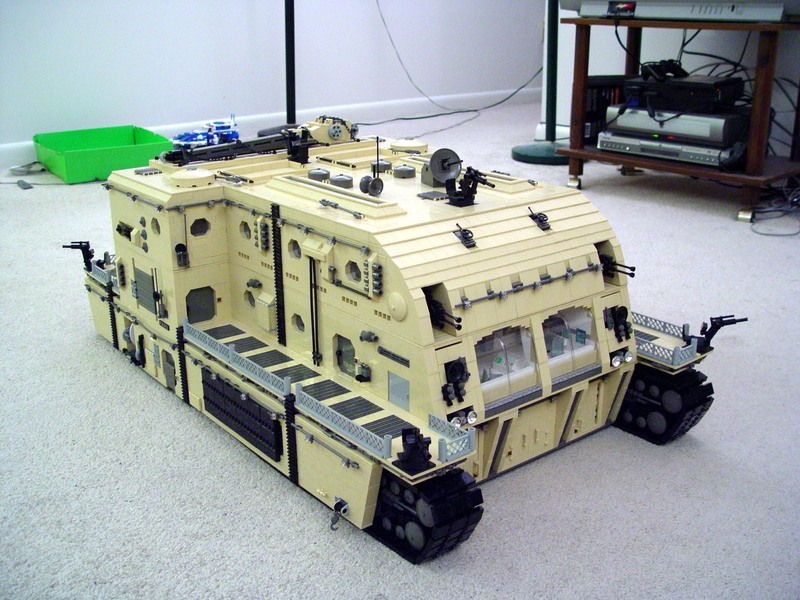 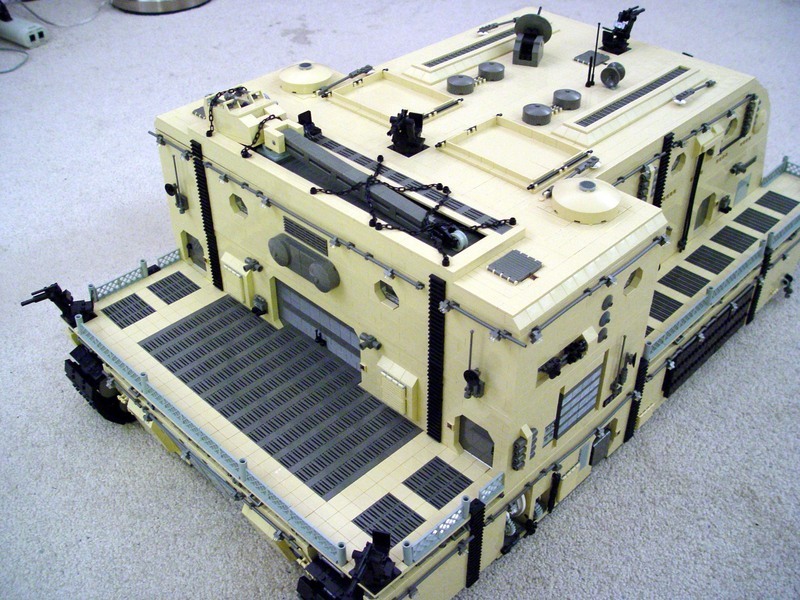 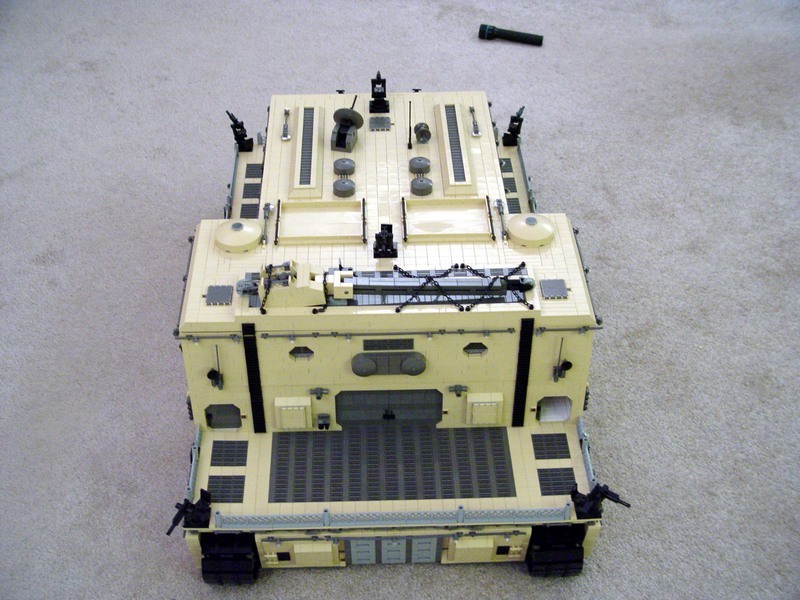 The PARV is a large land vehicle built for a BrikWars game which was played on Sep. 17th, 2005. 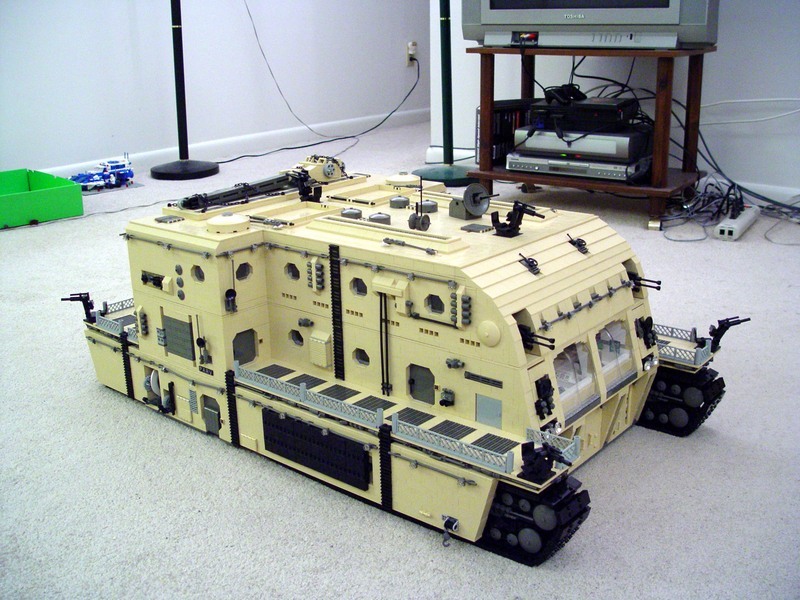 I believe this was the largest minifig-scale land vehicle to be built out of LEGO until Dave DeGobbi's Crawler Town, but please correct me if you know otherwise. 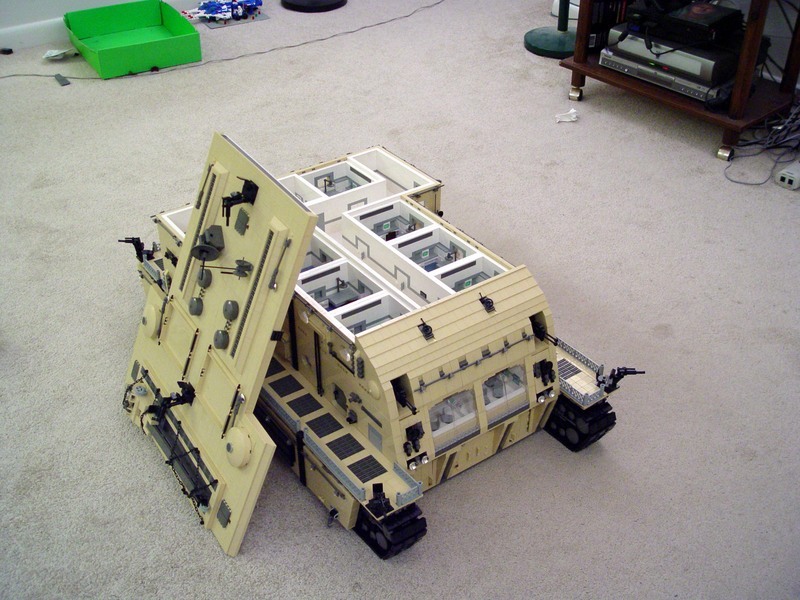 It was built over the course of about 8 months in 2005, weighs about 73 pounds, and consists of an estimated 30,000+ LEGO elements. 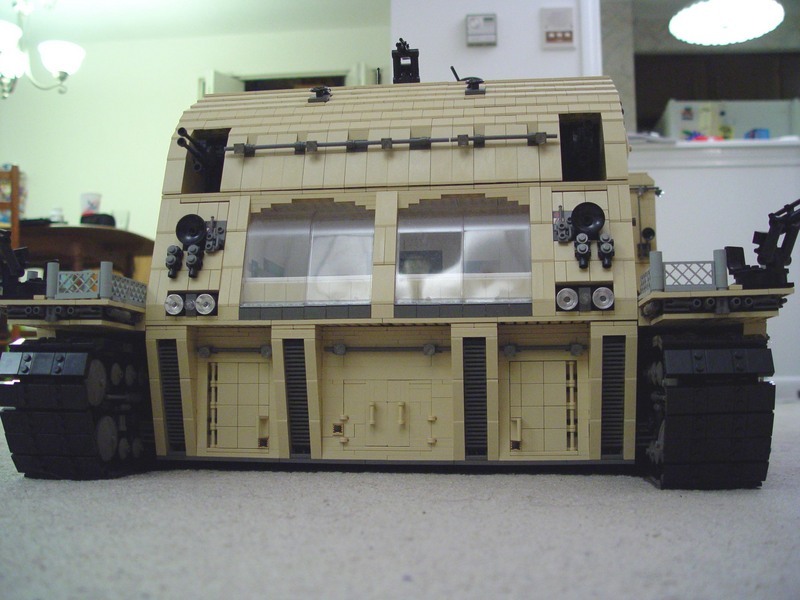 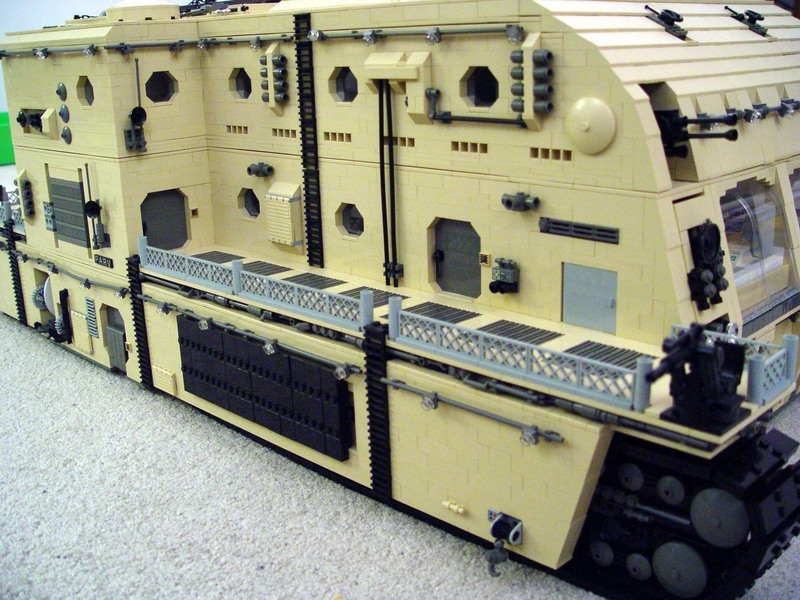 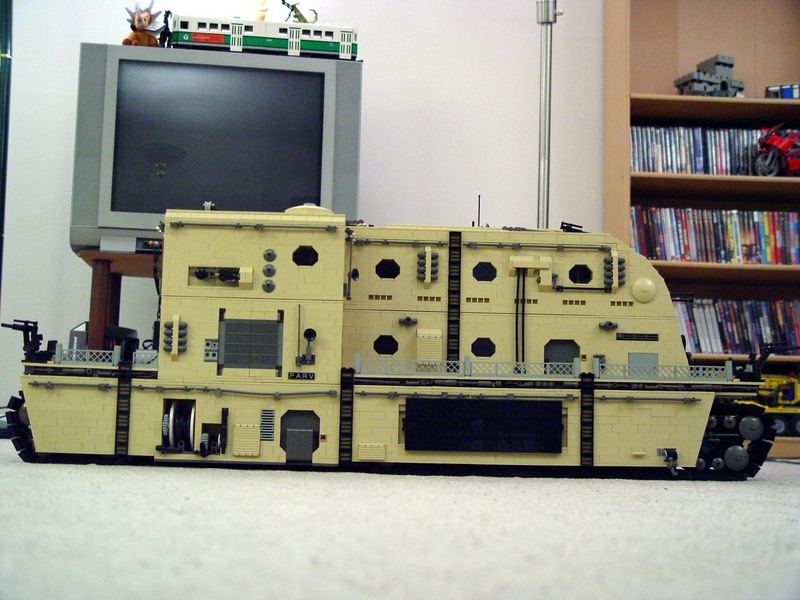 It's more than 115 studs long (3 feet), a bit more than 66 studs wide (20 inches), and about 34 bricks tall (13 inches). 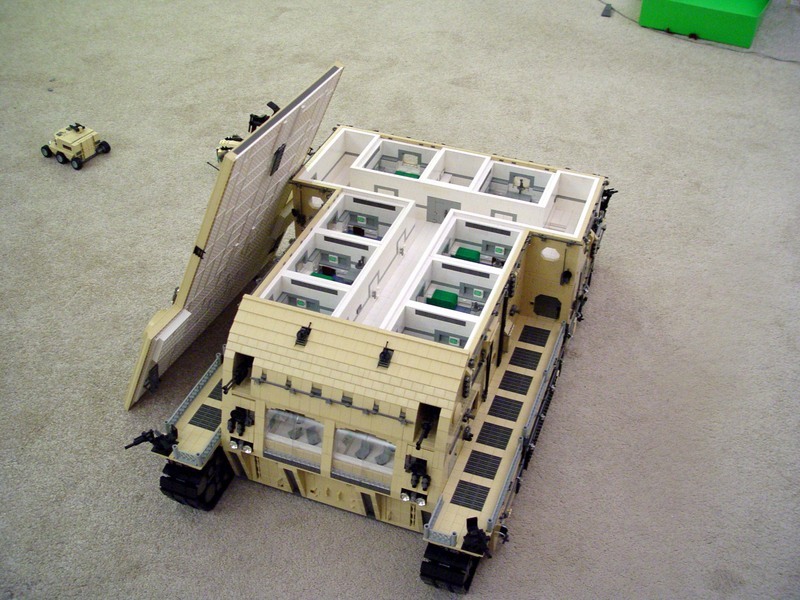 The whole thing is modular, consisting of some 25 sections that can be assembled. 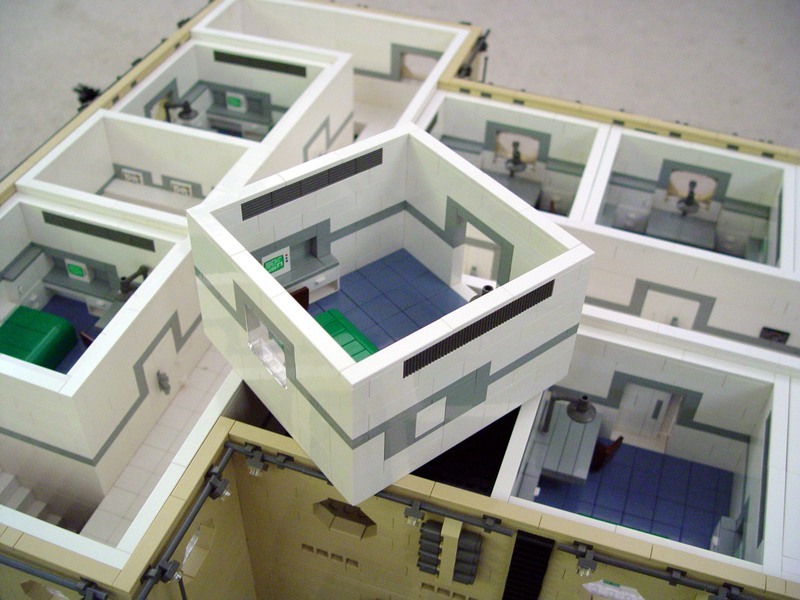 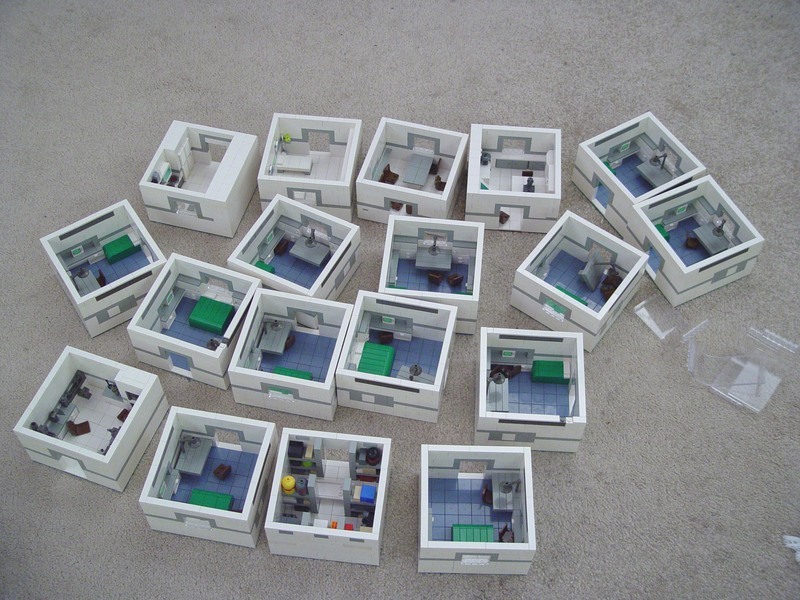 Of those, 18 are interior room modules, each measuring 16x16 studs. 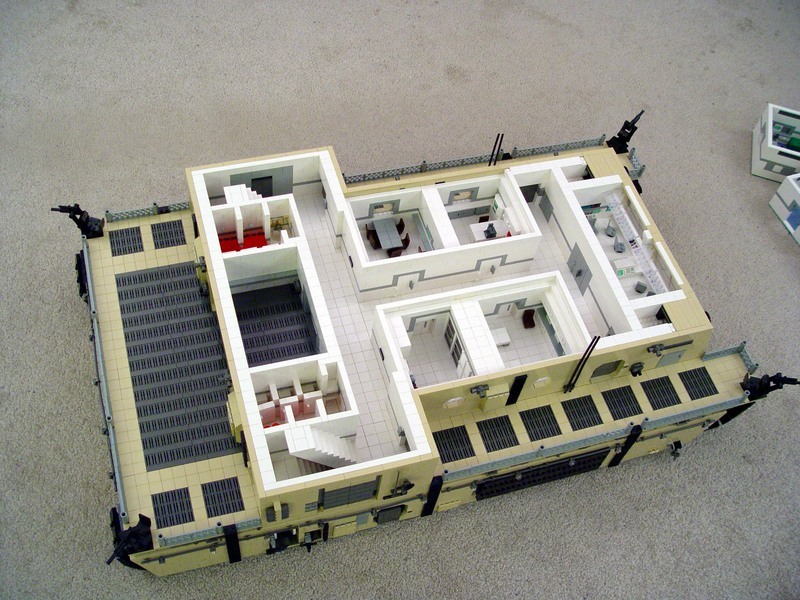 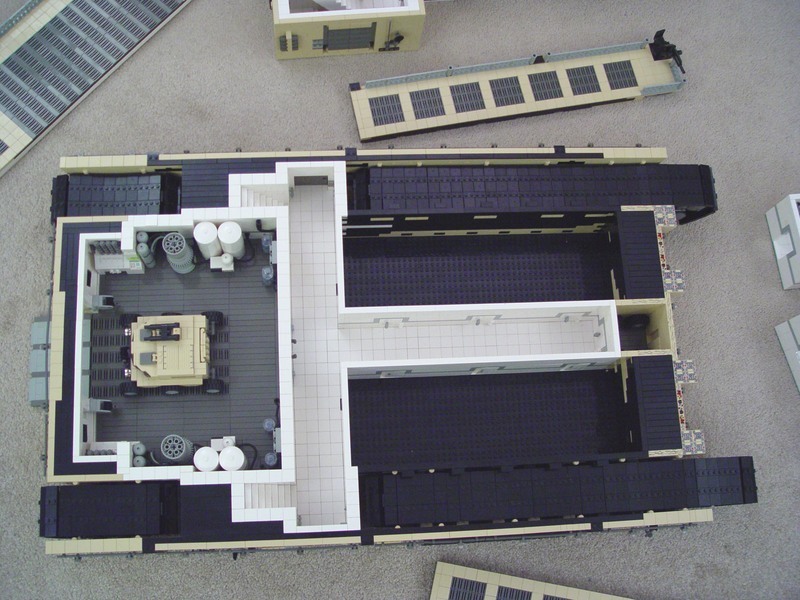 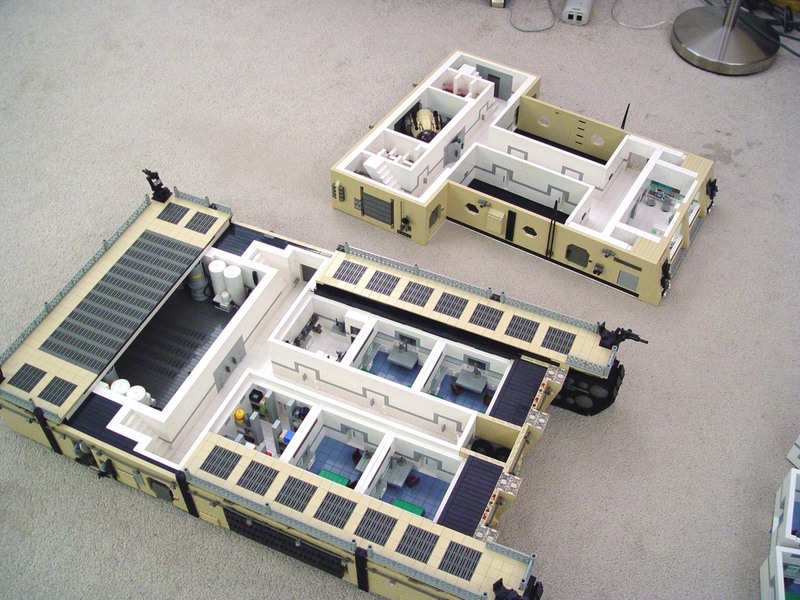 The other 7 modules are the "base", the rear landing deck, the front right and front left decks, the 2nd level, 3rd level, and roof. 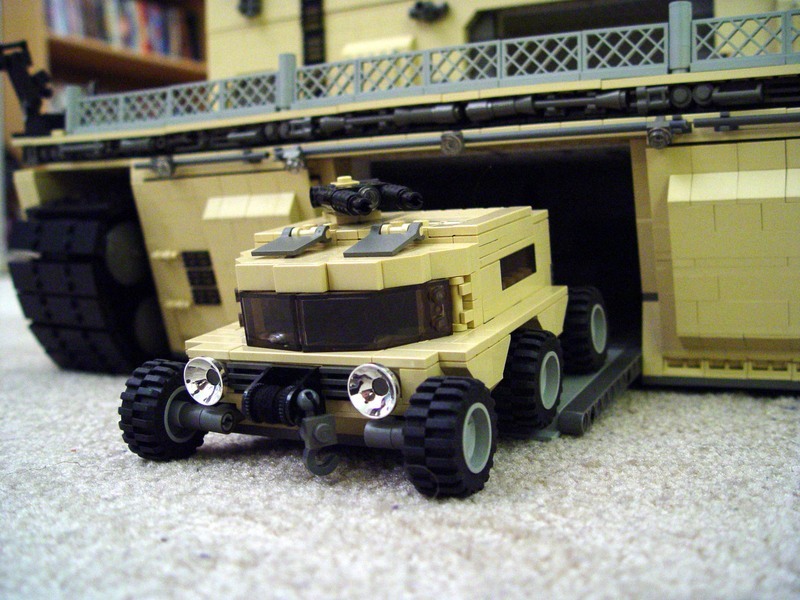 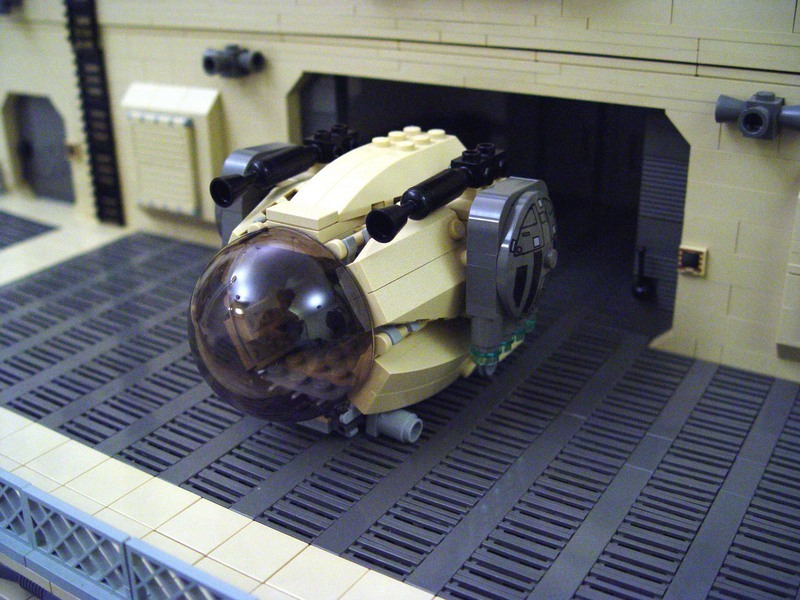 It also contains two smaller vehicles, named the Piglet (a small air vehicle) and the Badger (small rover).